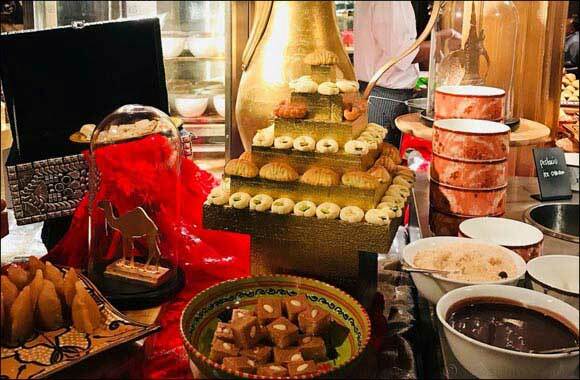 Dubai, UAE, April 08, 2019: With the Holy month of Ramadhan just around the corner, Chefs at Yalumba have put together an elaborate Iftar buffet. Drawing inspiration from the culinary culture of the Middle East, the special Iftar buffet at Yalumba offers a delicious variety of traditional favourites. Bringing live cooking stations, guests can enjoy Meat Kibbeh, Katayef, among other Middle Eastern favourites. Head to Yalumba with your family or colleagues for an evening of traditional delicacies paired with a mouthwatering array of desserts, making your Iftar truly memorable. Cost: 169 per person inclusive of juices.